Boston United have continued their planning for next season after retaining the services of keeper George Willis. 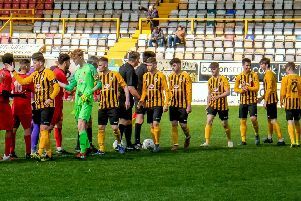 The 23-year-old Pilgrims skipper - one of the stand-out performers this season - has pledged his immediate future to the club after signing a deal to remain at the Jakemans Stadium until summer 2020. Willis, a coach at Sheffield United, arrived from Gainsborough Trinity in 2017 and has made 73 appearances, keeping 18 clean sheets to date. He becomes the second player to sign a contract extension this week, following on from attacker Jay Rollins.